On a grey rainy day, what is better than popin’ the cork of a new bottle of single malt scotch? 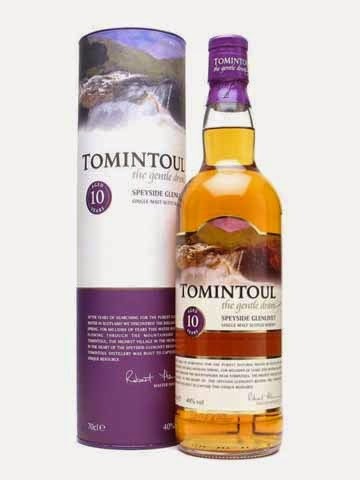 Today I will try the Tomintoul 10 year old, and with the slogan “the gentle dram”, it seems appropriate. The smell is floral, citrus and even though it is a 10 year old, I think it smells even younger. I really miss power and complexity. Well, maybe the taste will make up for what it´s missing on the nose. The taste is a bit better. Some sweetness, citrus and funky fruits (cannot quite place it…). I will give this whisky 74/100 (18/19/18/19).